Which mountain did batter you this way? 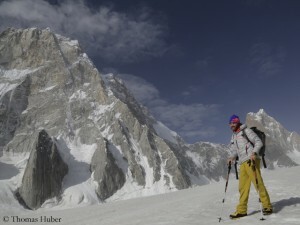 It started with the fact that there was a lot of snow in the Karakoram. 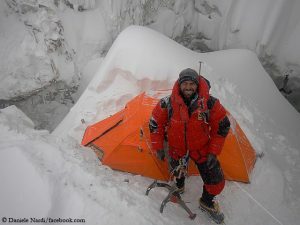 We had about one and a half meters fresh snow in our Base Camp. At the same time it was very, very warm. This led to wet snow avalanches. We tried in vain to climb a 6000-meter-high mountain that we had chosen to acclimatize. We then switched to Latok III to acclimatize for Latok I. Latok III is nearly 7,000 meters high. We wanted to take a safe route via the south pillar. At night in Camp 1 at 5600 meters, we were surprised by an ice avalanche. Although it hit the ground 500 meters from our tents, the blast wave literally blew us in our tents from our campground. We stopped just before the abyss. We all were ashen-faced. Dani Arnold, who has already experienced a lot, said that never before in his life it had been so close. We then digged our tents one meter deep into the snow and fixed them. 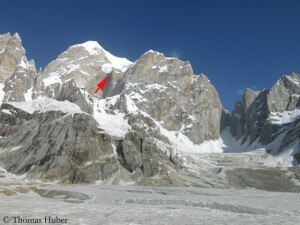 During the night, three more ice avalanches came down from the serac. 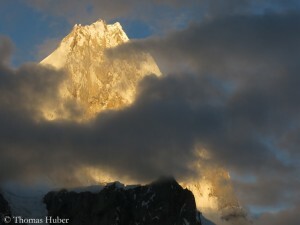 In the morning, we saw the huge avalanche cone below our tents and only said: “We descend. Let’s get out of here!” We lost a backpack with crampons and all the other staff. So we were also forced to continue our descent. Nevertheless you have already experienced many dangerous situations such as this. Why did this impress you so much? We have already experienced a lot, but we’ve never before been so much in the hands of fate. That was a new experience in our lives as climbers. Did all four climbers feel like this? Yes. 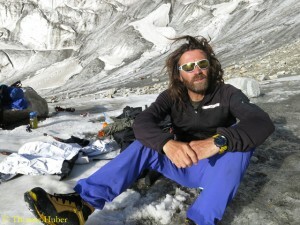 We sat in the Base Camp and talked about what had happened. We were glad that we had survived. But then there were also discussions. 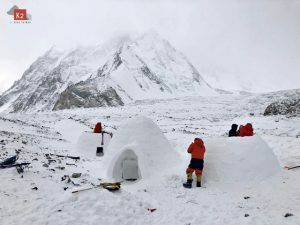 As the temperatures were not decreasing but the weather was incredible good, I said: “We should dig ice caves for our tents and always climb at night. 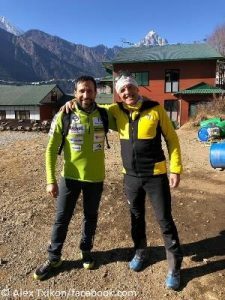 Then we might have a chance to climb Latok III.” But Alexander, Dani and Mario opposed. It was clear that I had to accept the team’s decision. Then we tried a second time to climb the mountain that we had chosen for acclimatizing before, but failed again, because it was just too hot. I proposed to bring the material down and move to the North Ridge of Latok I because I thought it was safer. This was rejected again. At the end the weather forecast was so bad that we finished our expedition two weeks earlier than initially scheduled. I climbed alone to Camp 1 on Latok III to recover our material. Alexander, Dani and Mario could warm their climbing hearts with a summit. At the third attempt they were able to scale the 6000-meter-high mountain that was probably still unclimbed. They named it Panmah Kangri. Had you already written off Latok I when you experienced the ice avalanche on Latok III? 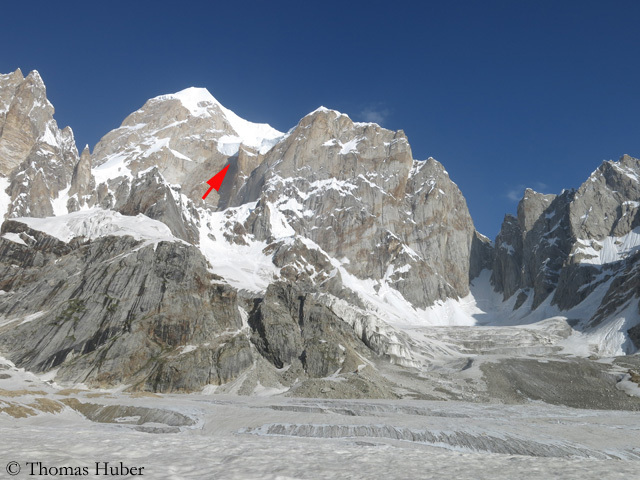 We realized at a very early stage early that it was impossible to climb the North Face of Latok I. We also talked to the Slovenians with Luka (Lindic – The Slovenians also quit their project to climb the wall). They called it the “Suicide Line”. It would have been like joining a death squad to climb one the two possible lines through the wall. We are climbers because we love life and not because we want to be dead heroes. In my opinion, the North Ridge would have been feasible because it is later illuminated by the sun. But there was a 3: 1 team decision against me. I was a bit unhappy, but in the end also grateful and happy that we survived. We have returned as friends, and that was okay. 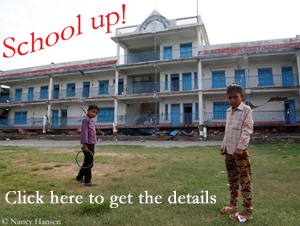 Have you now given up the project Latok I North Face? In this style, definitely. But you can not forget this wall. 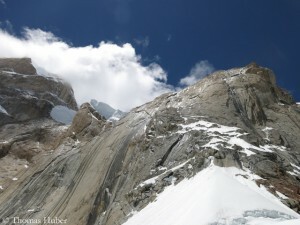 If you’ve ever stood below it, you, as a climber, are thinking: How can I make the impossible possible? I have some ideas about it, but I still have to think about it a bit longer. Never say never! Maybe I will go back there again. Alexander has three children, you too. Does that hold you back in extreme situations like now on Latok III? I’m a family man for already a long time, so I can not say that it has the effect to hold me back generally. I know this situation for 16 years. I don’t think about my family any more when everything is going well on the mountain. But they are in my mind again when the danger lies directly in front of me. I definitely believe that in this case I decide, because of my children, with a more positive approach to life, rather than simply saying: “Go on! It’ll be all right!” I think, I start saying no earlier now. But if something happens like on Latok III, I can assess this very rationally afterwards. Seracs can just collapse. Whenever you go to the mountains or anywhere else, life itself is life-threatening. But I think, if you are really aware of the danger, you can handle even extreme situations in a safe way. Last year, you cancelled your Latok I expedition shortly before departure – due to the uncertain situation in Pakistan. How did you experience the country this time? I have experienced Pakistan in a very nice way, not to say in a completely unspectacular way. Sure, you have to get used to the armed police. On every street corner, someone is standing with a Kalashnikov. But we were always safe, even driving twice over the Karakorum Highway. Actually, I can only recommend to anyone who has a good travel agency: Go to Pakistan! 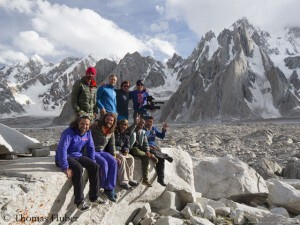 It’s an incredibly beautiful travel destination, especially in the Karakoram. For me it’s one of the most beautiful countries in the world. Unfortunately, the media often wrongly call Pakistan a terrorist country. In the meantime there is terror all over the world. You have to act correctly, choose the right place and the right route. Then you can travel in Pakistan in very safe way. I hadn’t this feeling this time. And I’m sure that I won’t have it the next time. I think the Pakistani military does a very good job and has the situation more or less under control.